End of September 2018 our application for the cluster of excellence Science of Intelligence got selected for funding within the German excellence funding program! Understanding intelligence is one of the great scientic challenges of our time. Yet in spite of extensive research efforts spanning many scientific disciplines, our understanding of intelligence remains fragmented and incomplete. The Cluster of Excellence Science of Intelligence (SCIoI) aims to identify the principles of intelligence to fundamentally advance our understanding of intelligence as a whole – be it human, animal, individual, collective or artificial. SCIoI will bring together researchers from different disciplines, such as robotics, artificial intelligence, neuroscience, philosophy, psychology, biology and human development. This allows to study, for example, how birds, mice and humans solve the same problems, such as mechanical puzzles. The obtained insights will then be transferred to artificial systems – robots or computer programs –, which are given the same challenges. This “synthetic approach” has three central advantages. Firstly, it forces researchers to check whether theories developed for biological intelligence are correct and useful. Secondly, it stimulates new hypotheses for the study of biological intelligence, because the inner workings of artificial systems can be analyzed with much greater detail than living organisms. Thirdly, it fosters a transfer of the obtained insights into technical applications. 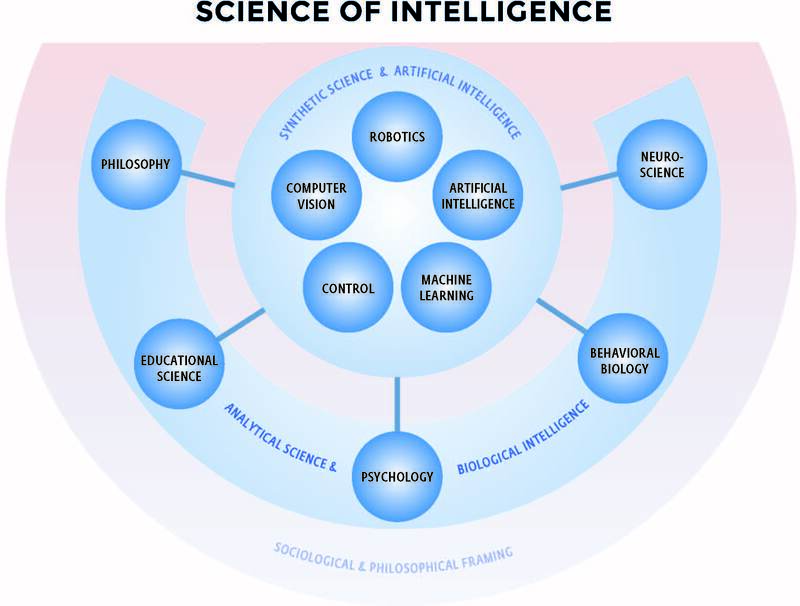 The approach of studying the same problems in a variety of different systems – animals, humans, robots and swarms – serves the central aim of the Cluster of Excellence Science of Intelligence: The discovery of general principles of intelligence. If you want to learn more about the work we are doing within the next seven years, check out the Science of Intelligence Website.